Without doubt the oak is one of the most fascinating and interesting trees. Among other activities we like watching an oak that grows nearby, at different stages of its life cycle. It has different parts and looks different when seasons change. There also different creatures living in it. 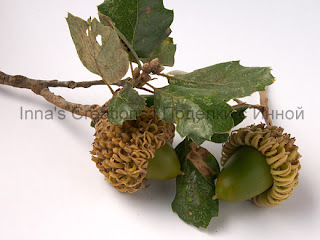 This time we did acorn crafts using several techniques, but first we took a picture of them. 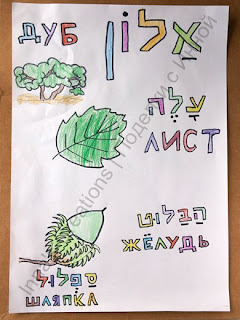 Then we drew its parts and learned how they are called in Russian and Hebrew. 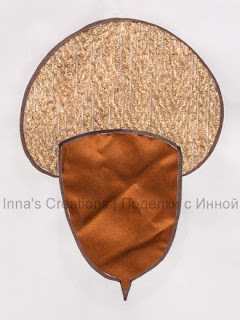 After that we made an acorn collage using two pieces of cloth. 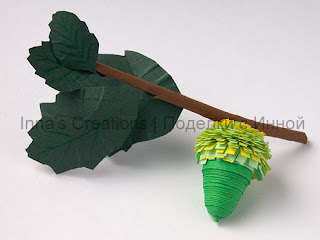 And finally we had also a quilled acorn.